Bharti telecommunications-the parent company of Airtel Nigeria yesterday made some top level changes in its operations in Africa and made eight new clusters based organizational design for the continent. 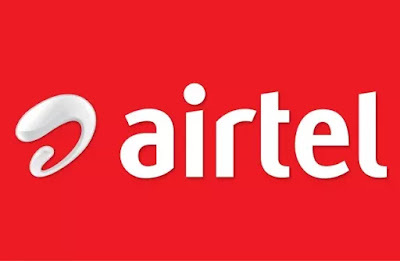 The Managing Director of Airtel Nigeria, Mr. Segun Ogunsanya, will now oversee the telecommunications business in Ghana as the two countries now form one cluster, the current Managing Director for Ghana, Lucy Quist, will report into Ogunsanya, Bharti Airtel said in a signed statement. for DRC and Congo Brazzaville. In addition to being MD for DRC, Wim will also have Gerard Lokossou – MD Congo Brazzaville reporting into him. While Alain Kahasha will oversee Gabon and Madagascar, Heiko Schlittke, MD for Gabon and Maixent Bekangba, MD – Madagascar will both report into him. Tom Gutjahr will continue as MD Uganda and also have the MD for Seychelles, Amadou Mahamat Dina, reporting into him. Managing Director of Tanzania operation Sunil Colaso, will now also have Michael Adjei – MD for Rwanda reporting into him. The Peter Correia now takes charge of both Zambia and Malawi. While Peter continues as the MD for Zambia, Charles Kamoto – MD Malawi will also report into him. Anwar Soussa will continue as MD for Chad. Raymond Mendy, MD for Niger will report into Anwar. Telecommunication parent company said Kenya OpCo will continue to be led by Adil Elyoussefi as Managing Director. Meanwhile, the new senior level organizational changes made in the telecommunication company, saw Managing Director & Chief Executive Officer, Airtel Africa, Christian de Faria, been elevated to the position of Executive Chairman, Airtel Africa. “In his new role, he will continue to support the vision of Airtel Africa and lead all matters relating to legal, regulatory affairs, shareholders as well as Mergers & Acquisitions,” the statement said. Raghunath Mandava, who is currently Director – Customer Experience, India & South Asia, has been position as the Chief Operating Officer, Airtel Africa. Raghu will relocate to Nairobi and will be fully responsible for the commercial operations.